Editor’s Note: This is the first installment in a three-part series of a new work by American poet and critic Burt Kimmelman. You enter the Lantern Palace from either of two streets. The entrances are about fifty paces from Wenceslas Square. Vodičkova and Štěpánská, the two streets, traverse the square at its midpoint. The Lantern Palace (Palác Lucerna)—in its art nouveau design, in its softly glowing interiors—recalls the past. Now it’s surrounded by the bustle of commerce. Prague’s burghers must have gotten the idea to imbue the open stretch of land that became Wenceslas Square with beauty and dignity. The “square” is actually a long rectangle, which had been the city’s horse market. Horses could be ridden up its length, as a kind of test drive, before they were purchased. Now the majestic Národní Muzeum (The National Museum) rises across an avenue at one end. At the square’s other end there’s a glitzy shopping promenade. But if you stroll just a block further you’ll reach Rytířská where there’s an array of theaters, an opera house, a cathedral, a huge tower and gate, among other architectural works that, today, are considered historical treasures. In the center of Prague, an old-world of “culture” swaddles a new world of hypercapitalism that, in its dazzling way, draws shoppers, drinkers and diners seven days a week, without let-up. Wenceslas Square is also filled with large department stores, some smaller shops, a hotel or two, along with restaurants and cafés strung along walkways on either side of a long grassy island. It’s interrupted by cars and trams crossing through. The Lantern Palace, whose aesthetics evoke a period preceding the present-day commercial buzz on the square and its surrounding area, was nevertheless Prague’s first multi-purpose arcade; in this sense it looks ahead to the modern city. The beautiful Lucerna’s sheer existence holds time in suspension, juxtaposing the hallowed and throw-away. Its arcade is a place of golden light and calm. Not unlike the larger Wenceslas Square, of which in effect it’s a part, the Lantern Palace is bound by busy thoroughfares. The arcade’s two portals invite in a perpetual crowd of shoppers and tourists, especially from Vodičkova where trams stop one after the other. People climb on, or step off to disappear into the throng. They flood the entire street, and its corner on the square where some of them gather at a café, whose chairs and tables spill out nearly to the curb. The greater crowd on the square absorbs them. If you exit Lucerna onto the other side street, Štěpánská, you’ll be a block closer to the statue of St. Wenceslas, the patron saint of Bohemia. His statue was put up at the end of the square that’s bordered by Wilsonova and across it the sprawling National Museum. (Wilsonova, that avenue, is named after Woodrow Wilson.) Wenceslas, a tenth-century Duke, sits triumphantly on his horse. Rider and horse face the length of the square, their backs to the museum. He’s dressed in armor. An unfurled banner’s attached to the point of his upraised lance. The statue’s the major landmark on the square. People on dates rendezvous there—“under the horse’s tail,” as they say. Before the likeness of Bohemia’s patron saint, people also gather for organized protest—public dissent. Diane and I were there for a large protest against the newly reelected Czech leadership in late January 2018, and later that winter for a much smaller protest against NATO. There were lots of speeches, signs, and some music too, in both protests. In the minds of the people of Prague, the Square is the closest this city truly has to a town center. There’s also Náměstí Republiky (The Square of the Republic), a more handsome shopping mecca. And there’s the famous, and more beautiful, Old Town Square with its immense statue of Jan Hus and nearby its six-hundred-year-old astronomical clock high above the crowd, in its tower. Tourists always go there. But Wenceslas Square—now, really, a wide mall—is taken as the place where political struggle is to be performed. The ornate Lucerna—its atrium of delicately articulated glass panels and metalwork, its marble floors and arches, its sweeping stairway—is more the hidden gem. Even so, its presence—while unnoticed by some people, situated as it is off the square—can be subtly felt when walking by. People may first wander into it, then remember to return. It includes a theater, a concert hall, high-end retail shops, restaurants and cafés, as well as a cinema. The lantern is the architectural motif throughout. The light in the kino, before the film begins, is golden. People enter the kino by way of an upstairs kavárna (café); it, too, is bathed in a golden light. This glow is the light of the past, and it’s a light that was imagined in Lucerna’s creation during the last days, after centuries, of Austro-Hungarian rule. The Kavárna Lucerna is both sumptuous and elegant. On one side of its teardrop bar you find the entrance to the kino. One enters the Kino Lucerna from the café, walking up some stairs into a softly lit theater with plush seats. When the movie ends, everyone stays in their seats until all the credits have been shown. This seems less a formality than the custom. After the film, the café fills with people who drink and talk into the night. Newly arrived in the depths of a Prague winter, Diane and I settled into the café for some coffee and smoked fish. We happened upon the café’s entrance, which was hidden behind heavy curtains, at the top of a grand stairway that ascended from the arcade below. It was hard to know what, exactly, to make of a sculpture we couldn’t help but gawk at, on the way up those stairs. 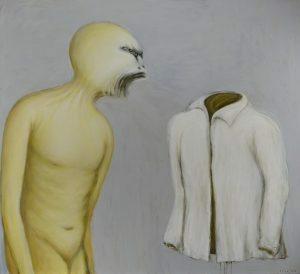 David Černý, “Saint Wenceslas” (1999). The sculpture was of a large horse hanging upside-down from a high ceiling. An armored rider was sitting astride its belly. The horse’s protruding tongue, and its tail, were pointing downward. Once seated at our table, we considered rider and horse at eye-level, through our picture window. From a balcony, in 1989, Václav Havel addressed the aspirations of a hundred thousand Czechs who, at risk to themselves, had gathered below. This was a heady moment in the Velvet Revolution. It was late November. Before the year was out, Havel would become the first President of modern Czechoslovakia, by dint of a popular vote. The Czechs were free once again, but this was fifty years since the Nazis had paraded the length of the Square to dramatize their vanquishing of the Czechs. The streets where you enter Lucerna run into the square near the balcony where Havel addressed the revolutionary crowd. Lucerna’s old-world, softly glowing interiors were the invention of Havel’s grandfather, Vácslav. He began work on it in 1907, completing it in 1921. Conceived in the last years of Austro-Hungarian Imperial rule, after three centuries of Czech subjugation, Palác Lucerna came into being at the dawn of Czechoslovakia’s “First Republic” that was inaugurated in 1918. The First Republic was a vibrant, democratic society. It lasted two decades. It had been authorized by the League of Nations after the Great War. The design of Lucerna reflects these two periods. It would later come to stand in contradistinction to the drab contours of Communist life, following the Nazis’ defeat and, following the Velvet Revolution, the glitzy capitalism of present-day Prague. The Havel family was wealthy. It was also integral to the community of Prague’s intellectuals and artists. When the Czech Communists officially took power in 1948, the Havels were divested of all their property. The grandson Ivan, Václav’s brother and a writer, was allowed to live in an upper-floor apartment of a building also built by Vacslav, which overlooks the Vltava River and its promenade. The building had been appropriated along with the rest of the Havels’ possessions. Lucerna is now managed by Ivan’s widow. As a child, Václav was not allowed to attend school since he, too, was a member of the bourgeoisie. He grew up to be a famous playwright. He’d discover the theater during his time in the army. At home his upbringing may have predisposed him not only toward the theater but, in a way, toward the inherent drama of political dissent. He came to prominence as part of Charter 77, which was a group of free-thinking artists, musicians and writers who ran afoul of the government’s social strictures. It was named after a document the group had put together in January 1977 to call out the government’s failure to adhere to its constitutional duties, as well as to agreements it had made internationally, with respect to implementing and safeguarding human rights protections. Havel’s is a theater of the absurd. His plays, as well as his samizdat essays, which were surreptitiously and eagerly shared by readers during the forty years of totalitarianism that followed the war, are highly critical of Czech Communist society. There were several stints in prison in store for Havel and these other people who made up the dissident group. The harsh treatment may also have prepared Havel for his particular role in bringing about the Communists’ downfall. Václav’s uncle Miloš is also a part of this story. Almost single-handedly, Miloš Havel created the Czech film industry after the First World War. As the Nazis marched onto Wenceslas Square, in 1939, Lucerna was being taken over for their future planning meetings. They also forced Miloš to relinquish his holdings in the movie studios he’d established. They let him continue to run them, though; and after the war the Communists tried him for collaboration. He was acquitted but banned from the movie industry, the one he created. His second attempt to get out of the country was successful, and his life came to an end in Munich. Thirty years after the Nazis’ tanks and troops filled Wenceslas Square in their bravura show of complete dominance over the Czechs, it was occupied once again by foreigners. This time the tanks belonged to the Warsaw Pact armies, led by the Soviets. They simply showed up one morning, to the Czechs’ complete surprise. They meant to put an end to the Czechs’ notion of “Socialism with a human face.” The Soviets rightly feared that Czechoslovakia was spinning out of their control, which may very well have been the case, albeit the Czechs themselves may not have fully realized what the reforms they were initiating would mean. Plaques now to be seen on the square, surrounded by candles and flowers on any given day, remember Jan Palach and Jan Zajíc, two high school boys who, on separate occasions during the occupation, set themselves aflame. They burned themselves to death—there on the square, as a public protest. The plaques can be found on the grassy middle island—they’re quite close to the balcony where Havel, the grandson, would later rouse a massive crowd to action. The revolution broke out two decades after the Prague Spring of 1968. In snapshots of Havel giving that speech, which were taken from over his shoulder, the vast throng on the Square below has filled every bit of ground. The center island of grass had been designed by the Communists in order to hinder large crowds from assembling as one. The nearby Lucerna, on the winter afternoon when Diane and I first discovered it, was hosting an exhibit of photos showing invasions of cities behind the Iron Curtain. We noticed them on our way out. The pictures were arrayed along the café’s walls. Fabulous and disturbing, at times quietly tragic, they were quintessential scenes of Soviet armed interventions. Appropriately edgy, though understated, captions informed viewers about which satellite country was being invaded and when. Incongruously large tanks were rolling onto plazas or had squatted in small streets. Some pictures showed heads and shoulders of leather-helmeted soldiers who peered around them from their portholes in the tanks’ armor. They seemed a bit bewildered, as they eyed civilians on foot who might, obliquely, dare to eye them back. Weeks later we returned to Lucerna. The photos were gone. A whole new display had been mounted. It was a collection of movie posters. There are many theaters in Prague. Their architecture varies from baroque opulence to a modern, all-sleek-lines sharpness that’s very much the Czech condition today and reveals something of the Czech wit, its edge. The differences, old and new, reflect Czech eras, respective political and economic situations. Prague, most of all, is in the midst of vivid change. The image of Václav Havel—how he’s remembered in the present, or, by some of the young adults, forgotten—is indicative of this change. When Havel is treated with humor, perhaps irreverently, there’s also an underlying respect. In the dénouement of a recent broadly satiric Czech film we saw that winter, a number of people end up running around Prague, the film having turned madcap, wearing masks—all of them in Havel’s likeness. His presence is like the air people breathe, so he can be taken for granted at times. Everyone on our side of the pond knows Havel as the playwright who was a principal in the Velvet Revolution. Some of us may also know he was part of Charter 77 and associated with the psychedelic musical group The Plastic People of the Universe. He’s remembered as having been the Czech President, of course. Havel, highly revered across Czech society by many, is a great deal more so in Prague—including by many younger people. I imagine that the stories about world leaders having to make the two-hour trek to Havel’s country cottage in Hrádeček (where he felt most at home) is a source of Czech pride. He was not especially equipped to lead a country. He caused hardship out of ignorance of economics, for instance, perhaps due to his being manipulated by Václav Klaus, his Prime Minister. Yet he was no doubt a great statesman and he’s widely acknowledged as that. Sometimes he’s adored. A number of the younger generation, however, such as some students from blue-collar families, who are not enrolled in an elite university, don’t pay as much attention—not only to his memory, but as well to politics generally. These kids are beginning to separate themselves from the Havel mythos. They’re more fatalistic. If asked to compare Havel with the present Czech Republic’s demagogic leaders, these students shrug. No matter what, they say, they’ll simply “endure”—for them it doesn’t much matter who’s in power. Some of these students complain about the Prague airport being named for him. Yet Havel is viewed more than ever in popular culture, I’d argue, as the great hero. We attended a musical, Velvet HaveI, which was performed in one of the newer, sleek theatres. As a musical, and simply as pure theater, it was marvelous and wonderfully raucous. It was an unvarnished and absurdist retrospective on Havel, done in what may have been a theatrics he’d have loved. After the performance we met Miloš Orson Štědroň, who wrote the musical’s score and libretto. His wife joined us for drinks. She was singing the following week in two satirical productions of unfinished comic operas by Shostakovich. He had hidden the manuscripts of these two operas in the back of a closet; his housekeeper discovered them after his death. They’d been staged only twice before. Diane and I got to see and hear those performances too. They were surrealist and viciously anti-Stalin. They seemed to be forerunners, in their satirical verve, of Štědroň’s Velvet Havel that, nonetheless, ultimately, treated the Czech leader with affection. Štědroň cited Ionesco and Beckett as having been formative for him, when I asked about the roots of his dramaturgy. Thinking some more, he added that Jaroslav Hašek’s subversive, comically bitter, anti-war novel, The Good Soldier Švejk, was the start of it all for him. The book’s illustrations, by Josef Lada, are on permanent display at the Prague National Gallery. The most famous example of such outrageousness is to be found, in Prague, in the public art of David Černý. Shortly before Miloš Zeman was first elected President (to the dismay of a great many), Černý sculpted a huge hand with an extremely long middle finger sticking straight up, in bright purple; he placed it on a barge he then anchored in the Vltava River, just below Prague Castle. The finger caused a political scandal. It was also a sheer thrill, and the aesthetics of the sculpture met with wide approval. David Černý, “The Finger” (2013). Obviously, Černý knows how to play the role of provocateur. When the Czech President was to serve his six-month term as head of the EU, Černý was chosen—quite a surprise, I guess—to be the artist who would represent the nation in Brussels. For the occasion he created Entropa—a colorful, huge and amorphous installation meant to be the most geographically inaccurate map of Europe. Every country is represented by satiric, at times bawdy, iconography. The Italian portion of the “map” is made up of soccer players, each masturbating with a soccer ball at his crotch. The Belgian portion consists of half-eaten chocolates in the shape of waffles. Luxembourg is depicted as a piece of gold with a “For Sale” sign. Nowadays, Entropa is on display at Techmania, a science and technology museum in Pilsen. The idea may be to keep it where no one would think to find it. 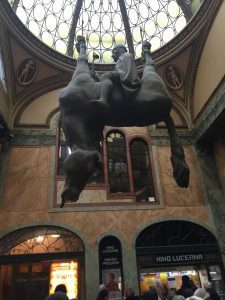 Černý’s public sculptures transform streetscapes, buildings and plazas, nevertheless, or an indoor space like the arcade of Lucerna. One favorite of strollers in Prague is Man Hanging Out—a seven foot-high sculpture of Freud (who was born in Moravia—Einstein, Kepler, Brahe and Copernicus all spent time in Prague, while Kafka was a Prague native). Freud’s dressed in a suit. He’s holding onto a pole that juts out from the top of a building four stories above the street (reminiscent of Hitchcock films like Vertigo and Spellbound). Freud’s other arm is held calmly at his side, the hand in his pants pocket, to suggest he’s simply holding on. In another part of town there’s a figure also poised above a street; this is the sculpture of a young woman with a parasol, hanging from a wire extended between two buildings. 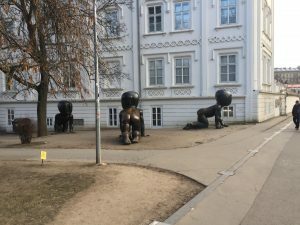 Černý’s huge brass sculptures of naked crawling babies populate the park in front of the Museum Kampa (which features Modernist artists who were banned during the Communist years). The babies’ bodies are fleshy, their faces machine-like (not quite resembling a Lego construction). When the babies were first made, they were affixed at various heights along the struts of Prague’s Žižkov Television Tower, to look as if they were crawling toward the pinnacle; it’s a needle sticking into the sky, visible from all points. Another internationally known Czech artist, Daniel Pešta, who has represented the Czech Republic at the Venice Biennale three times, started out painting but now works in many mediums. He’s a conceptualist, and returns again and again to two objects. One is red string, which is meant to evoke blood, genetic coding, fatalism, and endlessness. The other object is the mask. In itself, a mask says a lot about Czech history and culture, as well as about Pešta’s own life. He was born in 1959. Under Communism he laid low, making graphic art on consignment. By the later eighties, however, he was painting, and sensing something like what became the Velvet Revolution was imminent. In 1998 he made his first trip to New York where he saw the possibilities of conceptual art by working in multimedia. Havel once talked about the daily “acts of acquiescence” that led to “spiritual suffocation” in Czech life under Communism (in his 1978 essay “The Power of the Powerless”). Czech society was “permeated with hypocrisy and lies.” A mask can signify this duplicity; it can also stand for covering up, and a lot more. Pešta’s installation, titled Separation (Triptych), consists of thousands of rubber masks compressed into three large cubes. They’re a chilling vision of anonymous, now lifeless, faces. In a review of this exhibition, I observed that “Pešta’s greatness derives from his synthesis of empathy and formal concerns, organized in order to interrogate hypocrisy” (in Hyperallergic). Whatever Pešta does is intent on pushing the conversation out of complacency, so that Czech society may realize itself once again, post 1989. Everyone in the Lucerna Café, the first time we were there, was our age. That was in the afternoon. We returned to see a film one evening. There was a much younger crowd. Prague’s younger generation is fundamentally different from both its parents’ and grandparents’. Young Czechs in Prague are engaging, open, friendly, tending to be optimistic. Their grandparents long for the good old days. This much can probably be said about grandparents and grandchildren in any society. The Czech parents, however, are unusual. They continue to feel the pain of deprivation, after having to grow up under communism. Czechs don’t see things like Westerners, even in Prague. Lives were distorted by their government. An impersonal bureaucracy forced adolescents to study metallurgy, for example, when what they wanted was to study philosophy or history. There are remnants of that bureaucracy. During the Communist years a friend of ours was sent to Leningrad—where she lived for two lengthy periods of time—to earn a doctorate in Russian literature. Because she’d left the country, she was placed on a list that still prevents her from getting work. 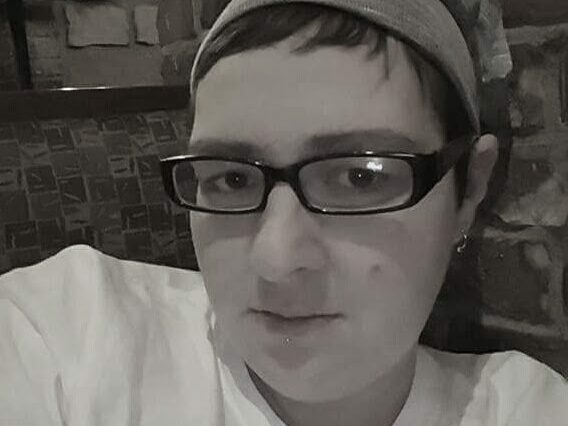 She has not been able to get her name removed. The parents of today’s young Czechs struggled through their training, abhorring it. After the Revolution, lives had to be restarted. Czechoslovakian Communism pictured itself as dreamy, high minded. The belief was that under Communism a new day had dawned, and people would be happy in their work and life. This idealized life was depicted in the public art of this period. A huge bust of a stolid-looking Stalin was belatedly erected on a high point, in a park whose rampart overlooks the Vltava River and the rest of the city. (The artist who created the Stalin head committed suicide before it was unveiled.) Not long after the installation, Stalin was denounced by Kruschev. Eventually a metronome, equally huge, took the place of the bust. It’s still there. There were obvious incongruities, living under Czech Communism. Someone told us of the dismay she felt, as a child, when she first visited her playmate’s apartment. It was exactly the same as hers, the furniture included. The government’s experiments with community sometimes meant that kids grew up in a housing complex far from where their parents worked. People ate in a communal dining room, instead of families cooking and eating at home. After the Velvet Revolution, Communist housing would be modified with various colors of paint, balconies and other additions, in attempts to create difference. Prague remained gray and dingy for most of the Havel presidency. (The glaring exception in its first decade was The Dancing House—which was designed in 1992, finished four years later, and could only have been a major influence on the city’s physical and cultural renewal that got truly underway after the millennium.) Now the city’s colorful and bursting with vitality as well as idiosyncrasy. New buildings, constructed in the last years, are wildly innovative—a strong counterpoint to the old, yet deeply beautiful, classic constructions with their spires, delicate stonework and statuary, which preceded Communism. Some statues still stand from the Communist era, and the difference is striking. The new buildings are swervy, jazzy, a bit kooky—joyfully so. BURT KIMMELMAN has published seventeen books of poetry and criticism, and more than a hundred articles on literature, art and other matters. His poems are often anthologized and have been featured on National Public Radio (in the United States). Interviews of him are available in print or online. 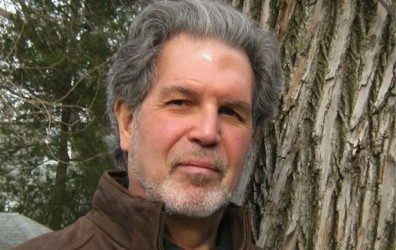 His ninth collection of poems, Abandoned Angel (Marsh Hawk Press), appeared in 2015. A new collection, Wings Apart, is due to be published by Dos Madres Press next year. He teaches literary and cultural studies at New Jersey Institute of Technology. More about him can be found at BurtKimmelman.com. The way he hovers beside her, slightly in front of her, refusing to be dismissed, suggests the persistence of an established relationship. But for his dress, they could be mistaken for lovers in a kind of quiet public quarrel.